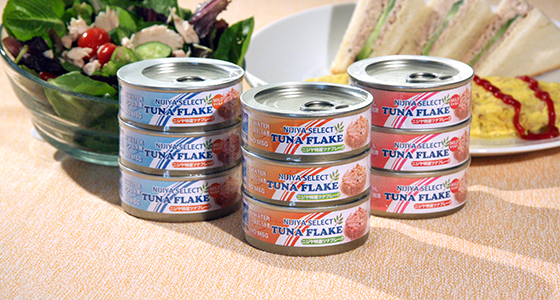 Here is a new member for Nijiya’s Tuna can series. Albacore tuna cooked in water (No MSG) comes in an orange can is the new addition to already popular Skipjack tuna cooked in water (No MSG) in a blue can and Skipjack tuna cooked in oil in a pink can. The white meat of Albacore tuna is tender and tasty. They are great for Tuna Salad, Tuna Sandwiches, Tuna Omelet, Tuna Don and Tuna Pasta. They are ready to use and easy cooking for your every meal.